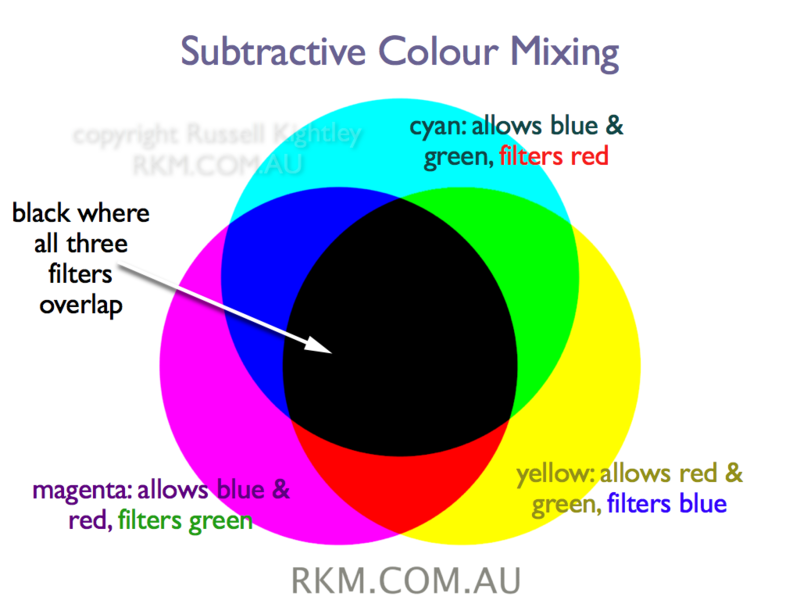 Subtractive colour mixing occurs with pigments rather than lights (lights use additive colour mixing). Printing uses this technique. 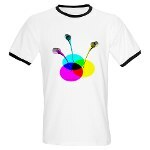 Printing inks use CYAN, MAGENTA, YELLOW & BLACK (CMYK), the K referring to the black ink. Black gives a richer contrast and uses less ink.